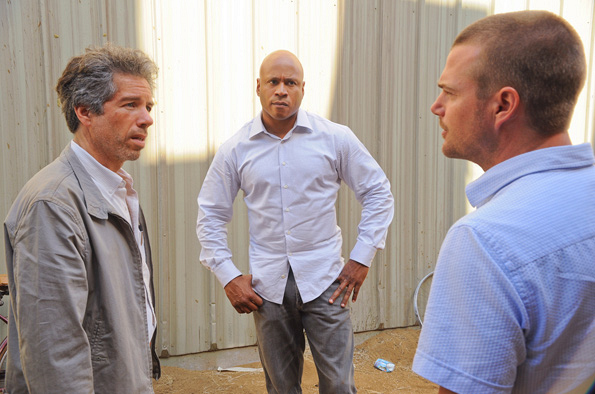 Special Agent Sam Hanna's (LL COOL J) undercover mission in Sudan turns deadly, & Special Agent G. Callen (Chris O’Donnell) and the NCIS team must track down their missing agent before it is too late. Douglas Weston (left) guest stars as Alex Elmslie. Photo: RON P. JAFFE/CBS ©2011 CBS BROADCASTING INC. All Rights Reserved.